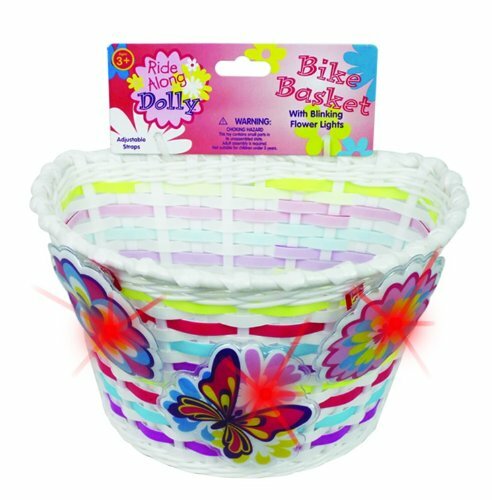 Bike Basket - Kid's Bicycle Basket with Three Motion Activated Blinking Flowers: Your child will love bringing her toys, and dolls along for the ride, or picking up new treasures along the way. The Ride Along Dolly Bike Basket features three motion Activated Flower Lights that flash on and off when the bike is in motion. Its the ultimate bling for your bike! If you have any questions about this product by Ride Along Dolly, contact us by completing and submitting the form below. If you are looking for a specif part number, please include it with your message.